A word about size: Women’s dress sizes have changed significantly over time. 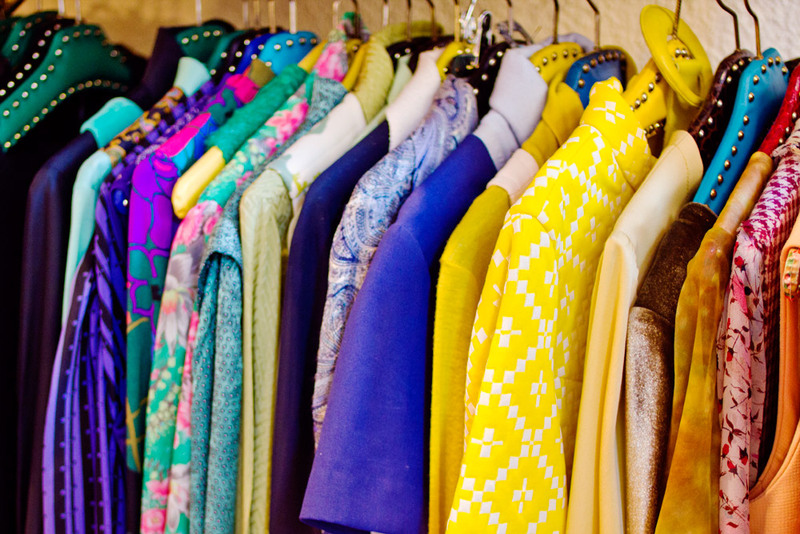 A rule of thumb is that a piece of clothing from the 1950s or ’60s is marked 4 to 6 sizes larger than modern sizing. So for example, a dress from that era that is a size 12 would be approximately a size 6 today. So don’t freak out about the size on the label. As you get closer to the current time, for instance, a piece of clothing made in the late ’80s or ’90s, you can expect that sizes will be more in line with what you wear now.